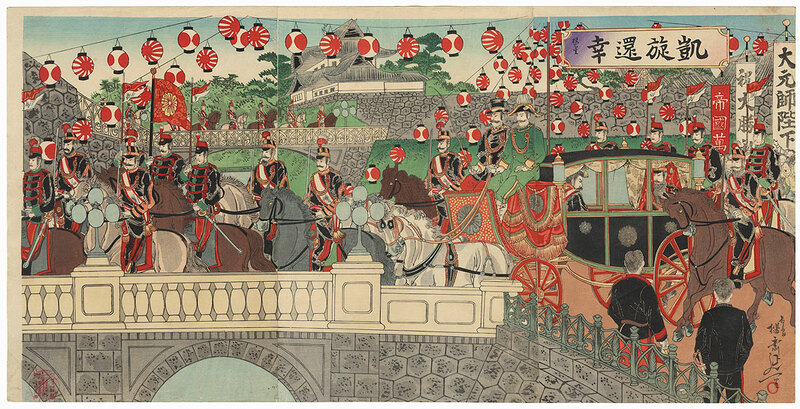 Comments - Handsome scene of a royal procession leaving the Imperial Palace. 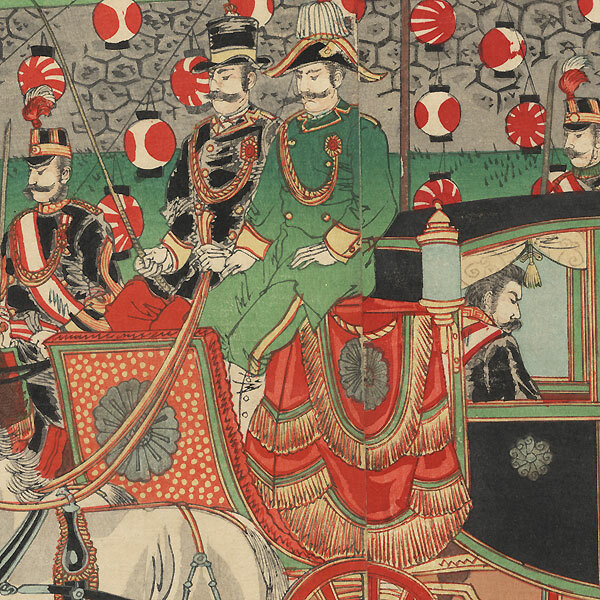 At right, the Meiji Emperor rides in a black carriage drawn by a team of white horses, with soldiers on horseback leading the way and others following alongside and behind. Red and white paper lanterns hanging overhead add a festive air. 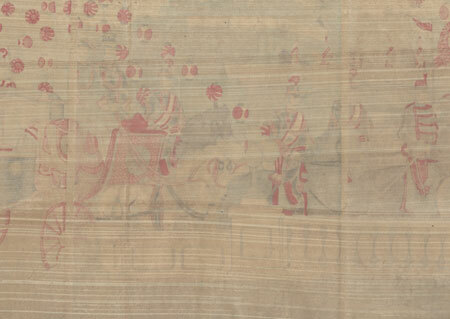 Additional horsemen can be seen crossing the bridge over the moat at upper left. An interesting subject with wonderful architectural detail in the bridges and palace walls, with burnishing on the black carriage and the two black uniforms at lower right. Condition - This print with excellent color and detail as shown. Three attached panels, backed with paper. Diagonal folds at corners. Slight soiling, a few creases, light stain. Please note: due to the size, this print may be shipped rolled. Please see photos for details. Good overall.